Eastern Illinois Foodbank : Hunger Action Month : What is Hunger Action Month? What is Hunger Action Month? September is Hunger Action Month (HAM) at the Eastern Illinois Foodbank and across the nation! The Feeding America nationwide network of foodbanks unites to urge individuals to take action in their communities - all month long. This September, individuals, businesses and government mobilize to increase awareness of local food insecurity and work to fight hunger! HAM is a movement that has a real and lasting impact on our mission to alleviate hunger in eastern Illinois. How Can You Take Action This Month? You are able to make a difference every day during the month of September with our 30 Ways in 30 Days Calendar. Our calendar features a number of different ways that you can make an impact -- from writing to your local legislators, dedicating your Facebook page to hunger and taking the SNAP Hunger Challenge. There is something that everyone can do. Find YOUR opportunity! 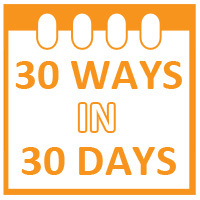 Click here to download our 30 Ways in 30 Days Calendar! Take the SNAP Hunger Challenge by eating on just $4.47 a day for one week. Shop for your meals with the daily average per person benefit provided by the Supplemental Nutrition Assistance Program (formerly known as Food Stamps) to get a sense of some of the challenges faced by those struggling to put food on the table. 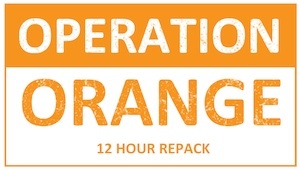 Budget $4.47 for the day and share your experience with family and friends to raise awareness of the importance of this critical nutrition program. 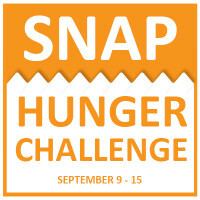 Click here to register for the SNAP hunger Challenge. Similar to other commercial Web sites, our Web site may utilize a standard technology called 'cookies' (see explanation below, 'What Are Cookies?') and Web server logs to collect information about how our Web site is used. Information gathered through cookies and Web server logs may include the date and time of visits, the pages viewed, time spent at our Web site, and the Web sites visited just before and just after our Web site. This information is collected on an aggregate basis. None of this information is associated with you as an individual.